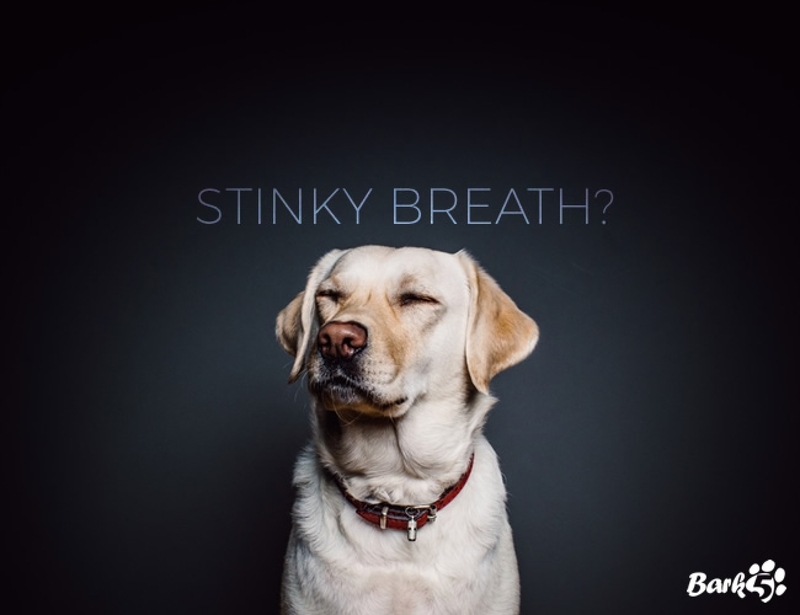 We all love our dogs for their sweet, furry faces and their wagging tails, but most of us don’t give their teeth that much thought. We should. Dogs, like us, need good dental upkeep, or else bacteria will come along and bring on dental disease. First comes very bad breath and swollen, painful gums. You’ll see your dog frequently rubbing her face on the carpets and furniture, or growl and whine more than she used to. She might start dropping food and treats—it hurts too much to chew them. As the disease progresses, sores may break out on her lips. Sooner or later, the teeth decay and crack or fall out altogether. And that’s not all: The disease can spread elsewhere and cause severe organ infections, and sometimes death. Gum disease is five times more common in dogs than it is in people, according to Colleen O’Morrow, a veterinary dentist in Manitoba, Canada and an Academy of Veterinary Dentistry Fellow. She attributes part of the problem to the high alkaline levels in dog’s saliva, which enables more plaque buildup. But the other part is us: We just don’t brush our pets’ teeth often enough, and that makes it easy for tooth-killing bacteria to grow. You love your dog, and want to keep her healthy. But that requires giving her chompers all of the care and attention they need. You can start with giving her a healthy diet rich in unprocessed meat and light on processed carbs—i.e., go easy on the Kibbles. Next, brush her teeth—just three times a week can keep the dental disease away. And consider some tartar-removing sprays for added protection—but only if they’re alcohol-free (we’ll explain why in our next post). In the meantime, visit us at Bark 5 and say hello. “Stages of Pet Periodontal Disease.” American Veterinary Dental College. Fries, Wendy. “The Perils of Gum Disease in Dogs.” WebMD. “Slideshow: How to Brush Your Dog’s Teeth.” WebMD. “The Disturbing Cause of Dental Disease in Dogs.” Dogs Naturally magazine.